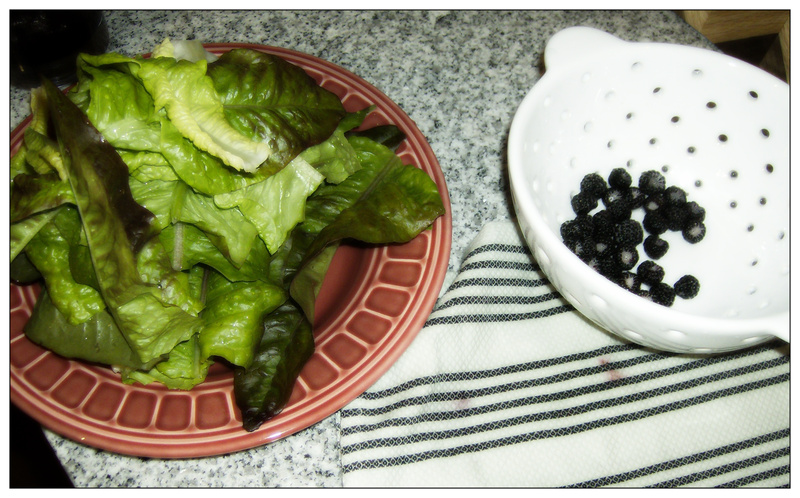 A friend was kind enough to bring me fresh lettuce and berries from her farm. 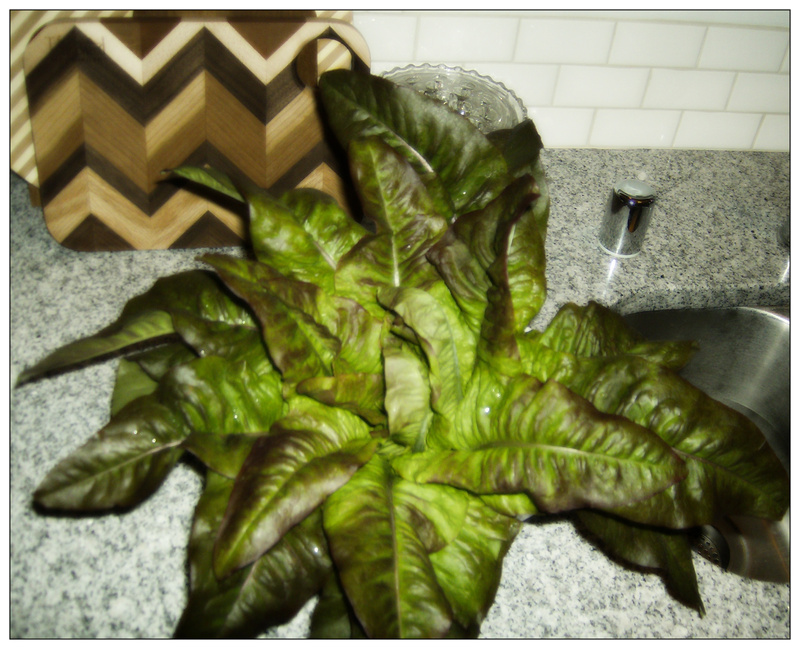 If you’re used to lettuce in a bag, eating fresh-from-the-garden lettuce is a treat beyond words. You need a salad spinner, and it takes about three good rinses in cold water to get all the grit off even the cleanest looking lettuce. It’s worth the extra bit of work. I made the berries into a compote style vinaigrette. 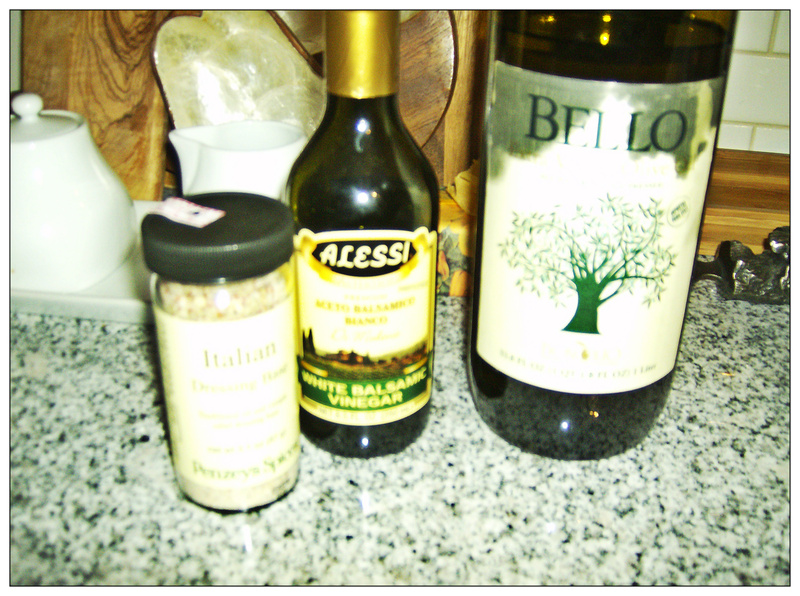 The secret to delicious homemade vinaigrette is Penzeys Italian Dressing Base. I have probably mentioned it before, but if not, I love it. I never buy dressing anymore. It’s so much tastier to make my own using their base. 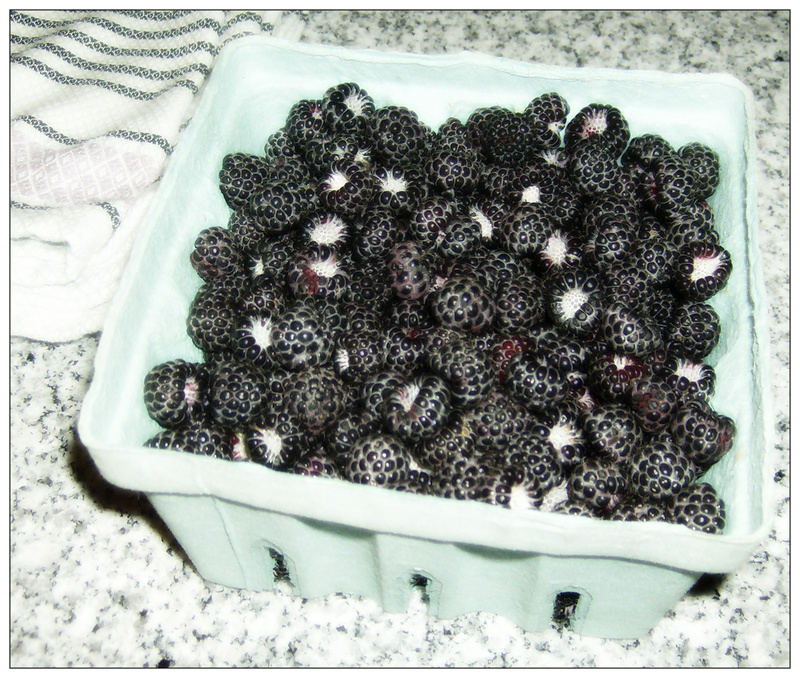 I mix it with whatever vinegar I’m in the mood for, some olive oil, and occasionally something else like some mustard, or in this case, fresh (not cooked) mashed berries. This dressing was a mix of about 1/3 cup of berries, 1/3 cup of white balsamic vinegar, a splash of olive oil, and about 3/4 teaspoon of the dressing base. I didn’t measure anything, so this is my best guess. After topping the amazing lettuce with the vinaigrette, I sprinkled some more berries on top and added a bit of sliced roasted almonds and mozzarella. Delicious! 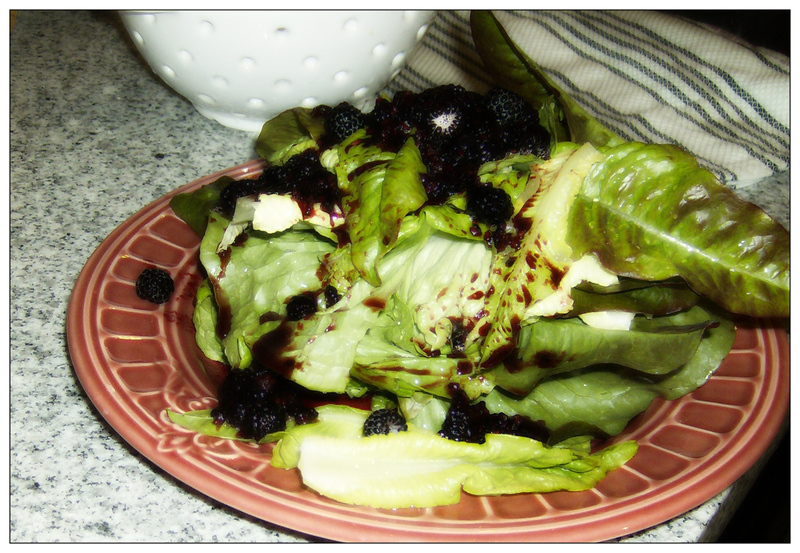 Fresh lettuce and berry compote vinaigrette. Photos by Holly Tierney-Bedord. All rights reserved. Previous PostWho owns a river?